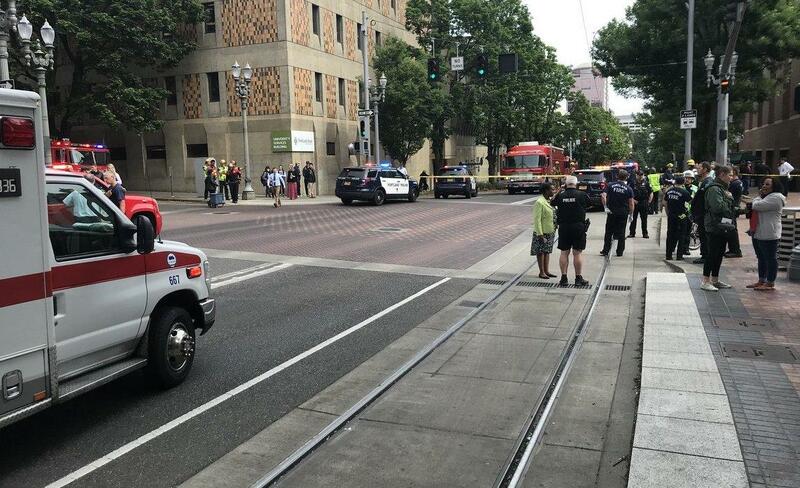 PORTLAND, Ore. -- Three people were injured after a hit-and-run crash on the campus of Portland State University, authorities said. The crash was reported around 10 a.m. Friday. Three adult female victims were struck by the vehicle as they walked on a sidewalk on Southwest Avenue, authorities said. They were rushed to local hospitals -- two are suffering serious, life-threatening injuries and the other victim is suffering serious but not life threatening injuries. Portland Fire and Rescue officials stressed in a news conference that it was early on in the investigation and they could not confirm that the incident was intentional. The Portland Police Bureau said the vehicle -- a blue Mazda Tribute -- had been located by police. They said they do not believe there is a further threat to the community at this time. Police took the driver into custody and only identified him as an older, white male, CBS affiliate KOIN-TV reports. Sgt. Pete Simpson said the arrest was "fairly textbook." "I'm still in shock. I'm shaken -- can't believe I️ just saw that. It's shocking and they kept going. It was a hit-and-run," witness Laurel Peoples told KOIN-TV. The university campus remained open Friday and classes took place as normal. Mayor Ted Wheeler issued a statement on Twitter, offering his thoughts to those injured in the crash. My thoughts are with those injured in this morning’s hit-and-run. Thank you to the first responders and to those investigating. I’ve spoken with Police Chief Outlaw, Fire Chief Myers, and leadership from PSU and OHSU. We will provide more information as it becomes available.